I like to stock up on oil and filters and buying in bulk ensures that we always get the best deal and always have materials in our garage. First off, I order from Amazon Castrol Racing Power RS Synthetic 10W-50 4-Stroke Motorcycle Oil in a pack of six for $45.58 shipped. This comes out to $7.59 per quart! this is great oil, very highly rated and locally you will pay $12.00 per quart for this stuff. 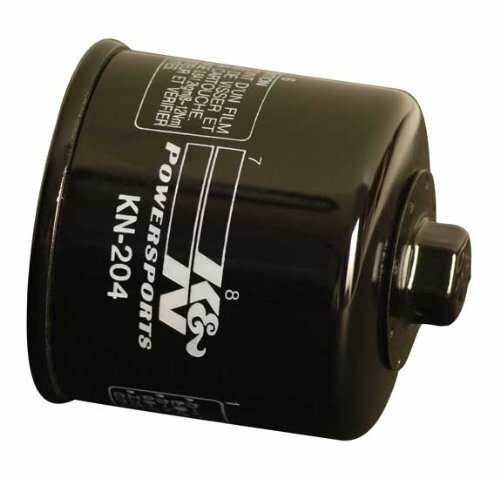 For filter, also from Amazon, I use the K&N KN-204 Motorcycle/Powersports High Performance Oil Filter for $10.67 with free shipping if ordered with the above oil, or any purchase over $35. This filter would cost you $18 or more locally. The reason that I like this filter is because of the 17mm nut head on the filter, which means you can remove it with a simple 17 mm wrench easily, no more fighting to get the filter off. Plus, it's a K&N. Nough said. I usually order two of these to match the two oil changes worth of oil that comes in the six pack above. To me, this is the very best deal there is for the FZ-07, high quality racing oil and about the best oil filter made that also has a 17mm wrench. There is also the hiflo filter that also has a 17mm nut head, but it is only 70 cents cheaper. If you find a better deal, list it below! Here is a picture of the Filter for reference. You can see why it is so easy to remove. Cool, I have never seen an oil filter with a nut head like that. Yep. This kit works out to $7.49 per quart for the oil and $10.67 for the Filter. Not to promote another forum, but BITOG has a sub-forum dedicated to deals... mostly oil, but others as well. I check it from time to time... mostly when I'm looking for synthetic. However using Shell Rotella 15W-40 I always find its cheapest at Walmart for ~$13/gal. Filters I get when I need them: Puralator Pureone, Bosch or Fram Tough Guard usually around $4-7. Is KN-303 safe to use? I can get them cheaper from my mechanic buddy. Yes, that filter is safe to use as well, but the 204 is recommended for some reason. I do the same with the 10w40 variety. Great deal. Another bonus on the filter is that since it's easy to remove without damaging the filter (I had to stick a screwdriver through my factory filter), it's also clean and easy to recycle old filters at your local shop. Funny, how I bought the exact same items from the exact same dealer on friday! I didn't see this message until this morning!! Beast deal around, no doubt. I previously used Royal Purple but at more than twice the cost and I didn't really notice a difference, it was a no brainer!!! Probably the best deal I've seen on this oil and filter. Cycle Gear had a deal about 2 months on the oil. It was about 9.50/quart. Thank you very much. Do you mind providing links for these? 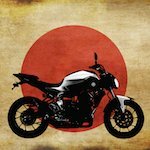 I bought Shell Rotella (from Walmart too) for my Ninja 250 and never had any issues with it - how does it compare with the one mentioned in OP? Amazon has the 6x Castrol listed for $43 right now with coupon and I can't remember how much Rotella costs. Hey just wanted to post that the oil Cruizn link now has a 20% off coupon which brings it to $40.60 + tax. I went with this filter for $7.26. Just thought I'd report a find for a cheap price for Castrol 03139 Actevo 20W-50 Part Synthetic 4T Motorcycle Oil - 1 Gallon Jug, (Pack of 3) on Amazon. That's for three gallons of Castrol for $45 with the 25% off coupon. It's a good price even without the coupon. I just ordered some and will get same day Free delivery with my Prime. Great post. The only thing you didn't mention and I haven't seen it in this thread is are you replacing the crush washer, and if so, where are you getting these? I'm told these will fit from another's post and I have bought them myself, but haven't used them yet so I can't swear to the fitment but they appear to be of usable size. Or you can pick up new crush washers at your local shop I'm sure.